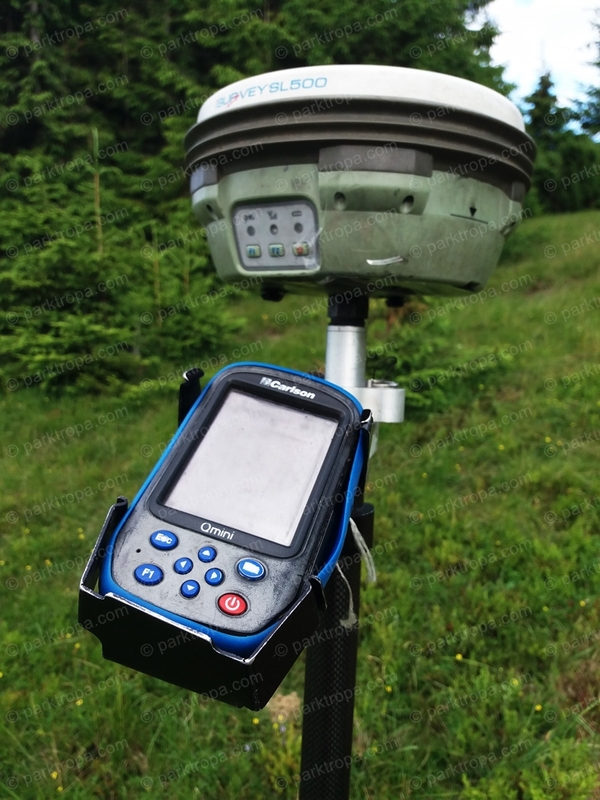 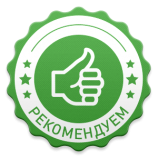 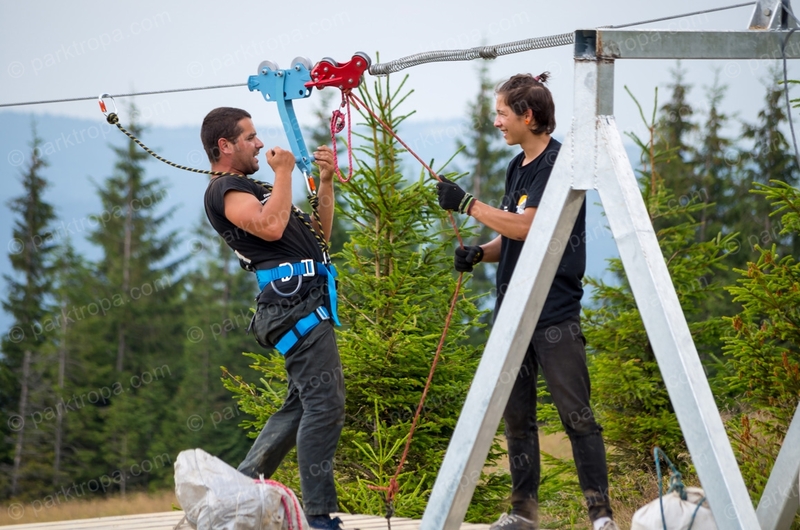 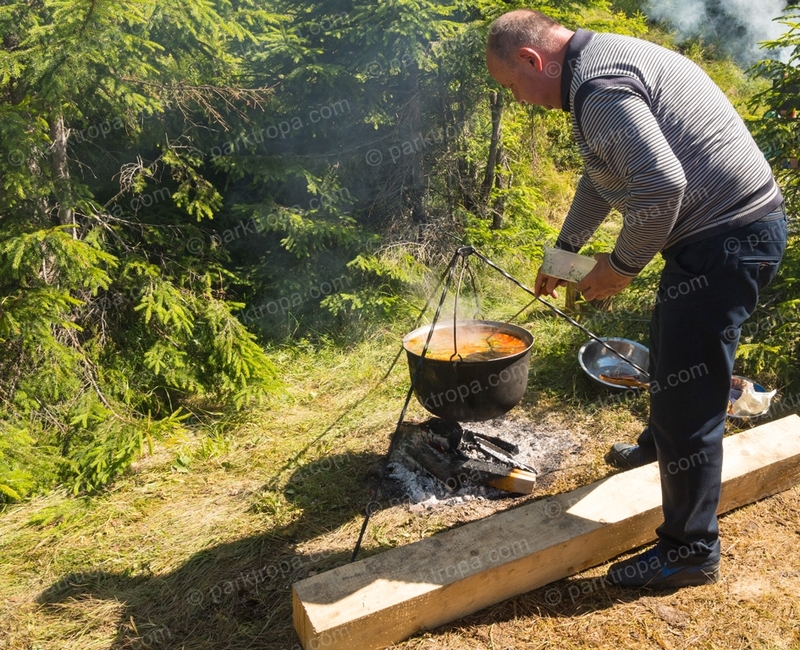 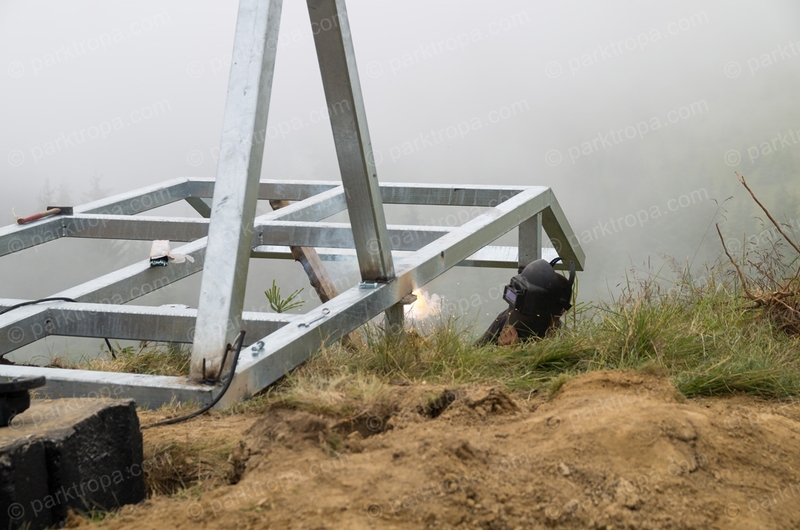 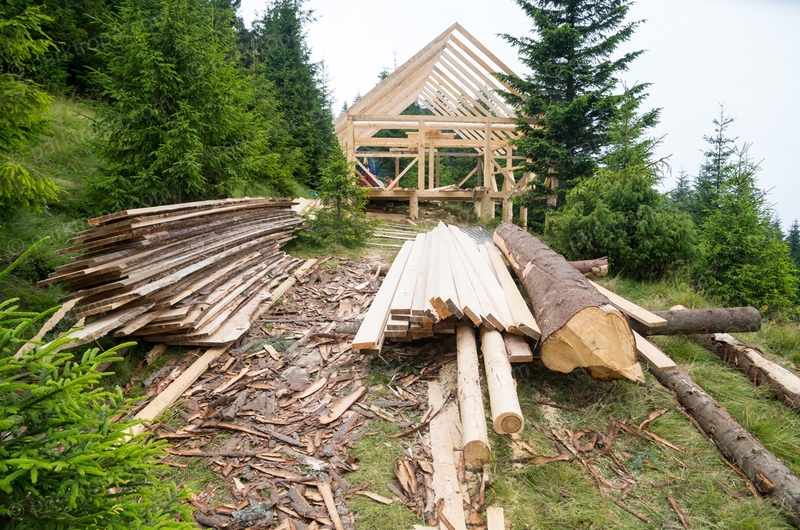 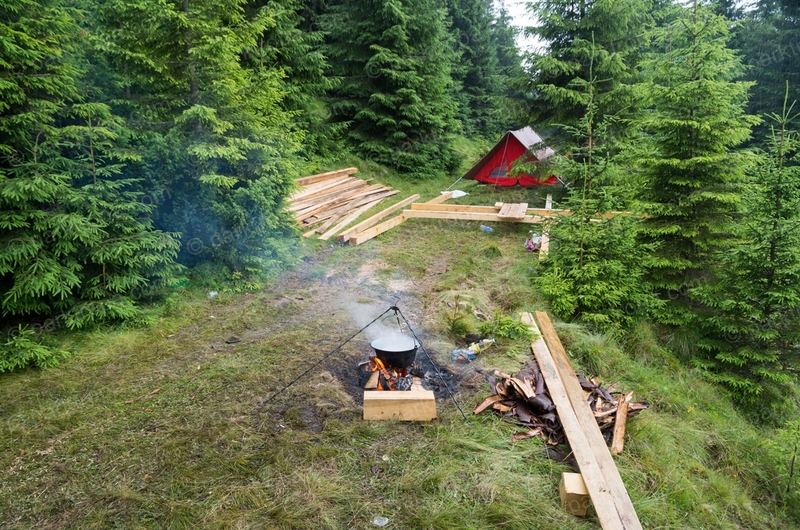 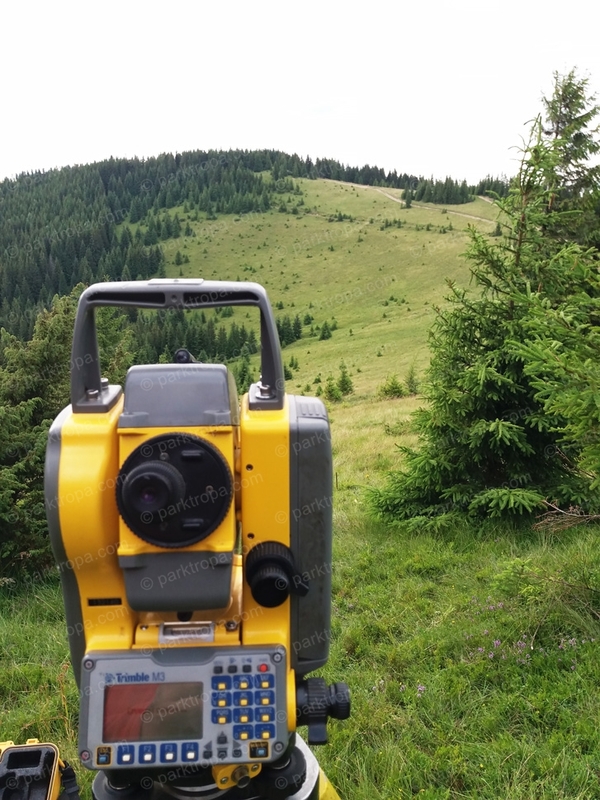 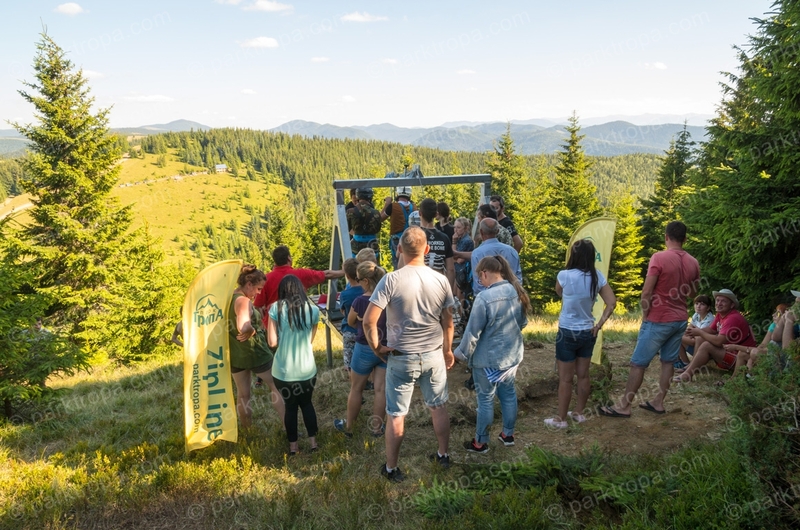 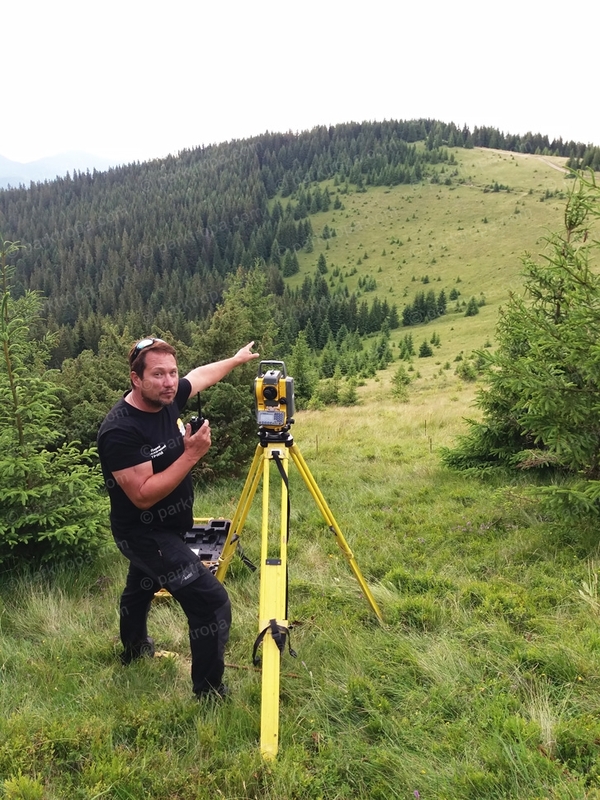 Certified safety and release equipment conforms to European and American safety standards for work at height (EN, ANSI, NFPA), as well as the requirements of the UIAA (Union of International Alpinist Associations). 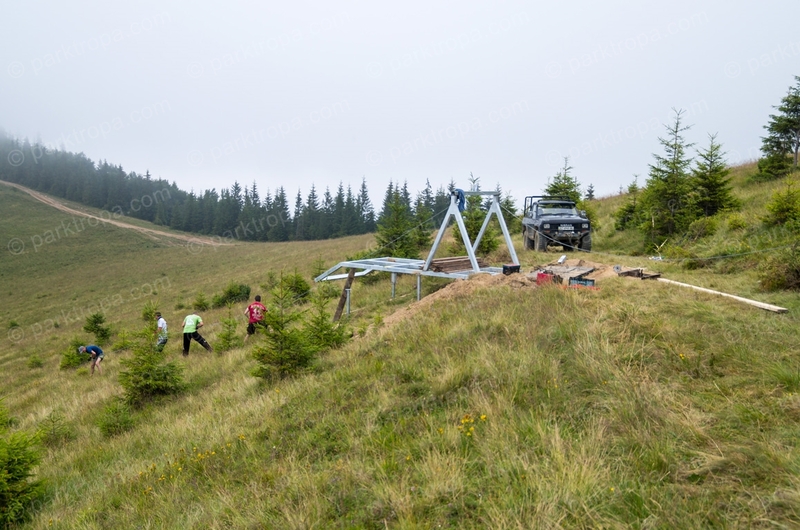 Start and finish construction with corrosion protection by hot galvanizing. 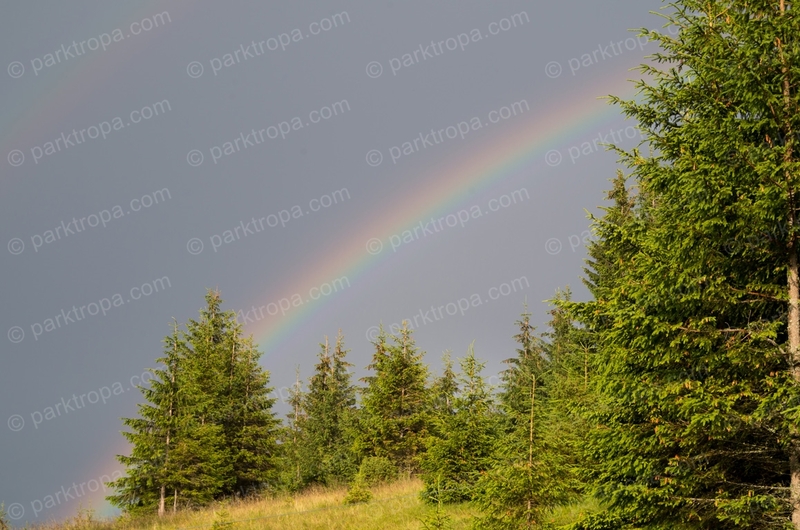 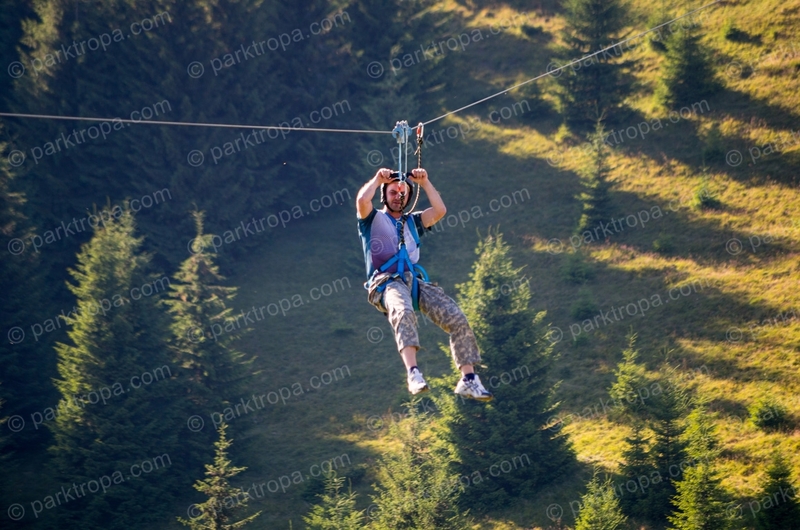 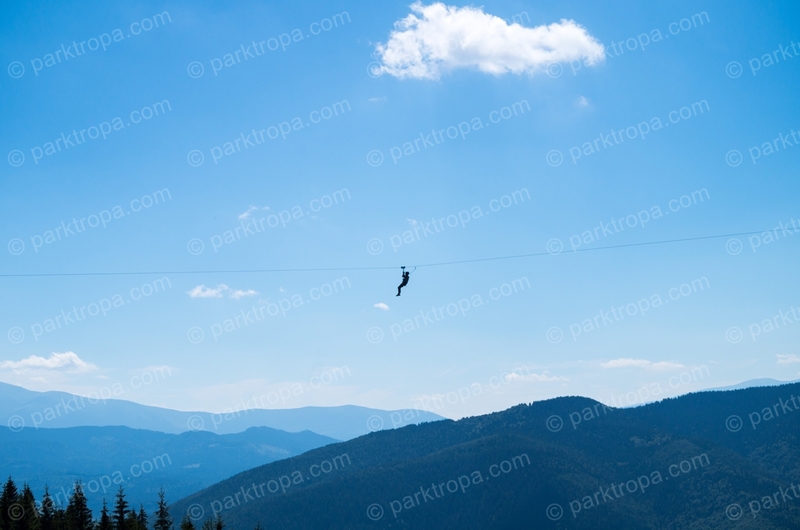 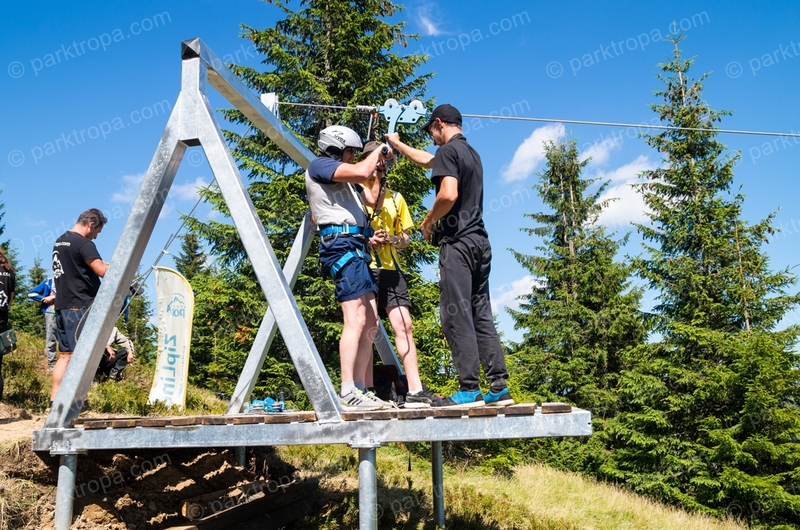 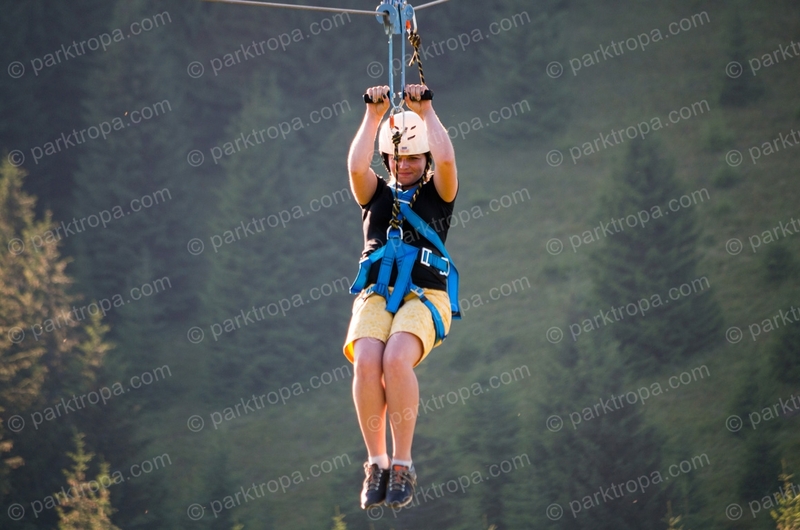 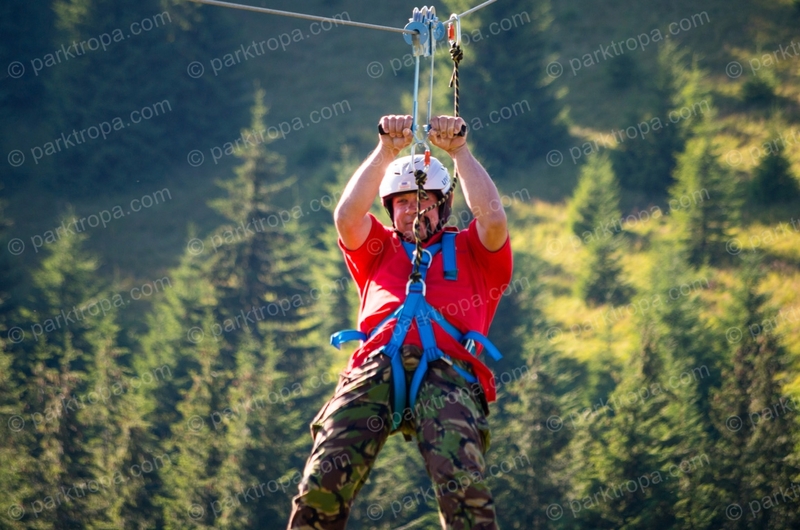 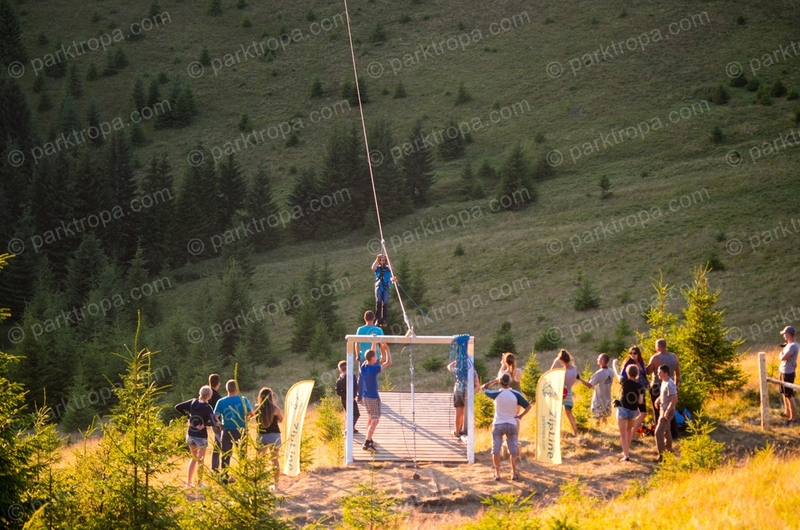 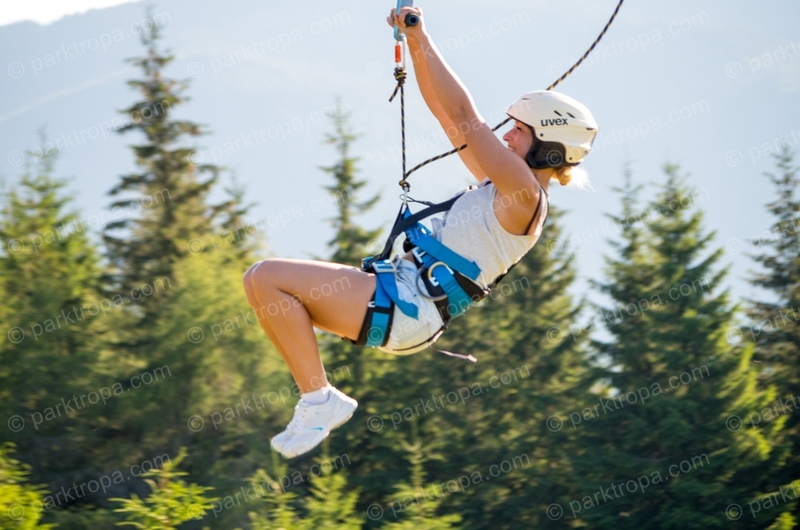 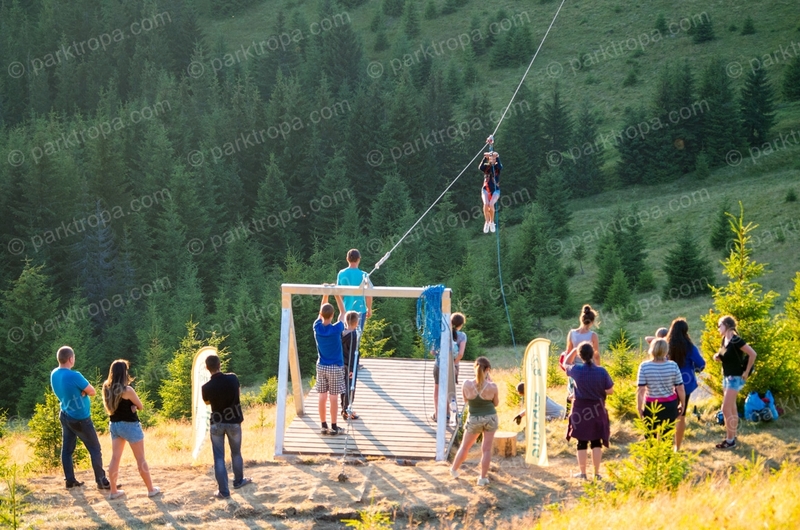 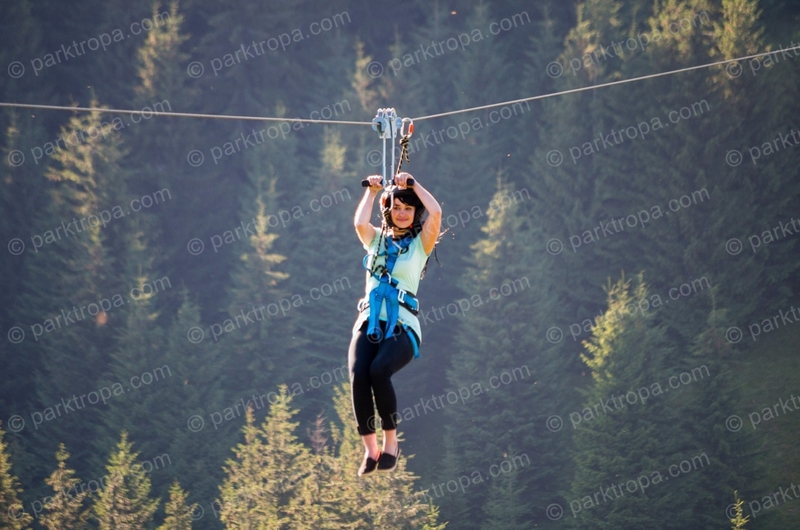 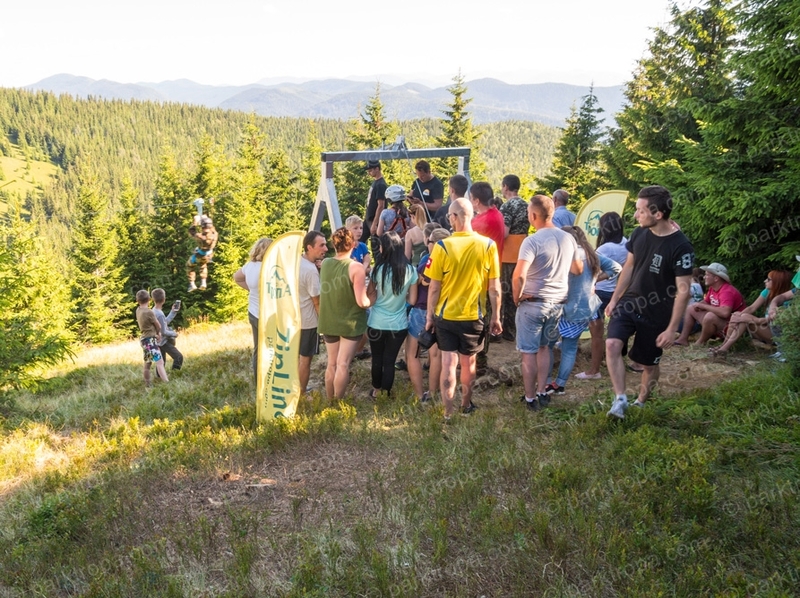 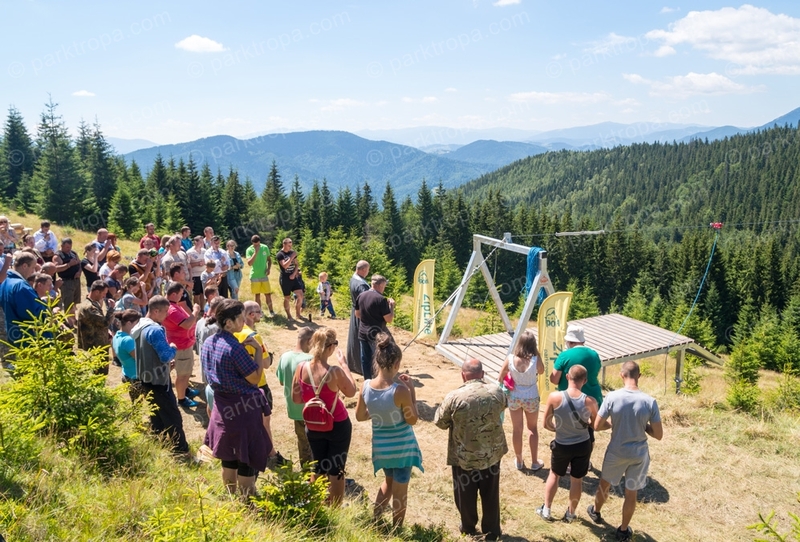 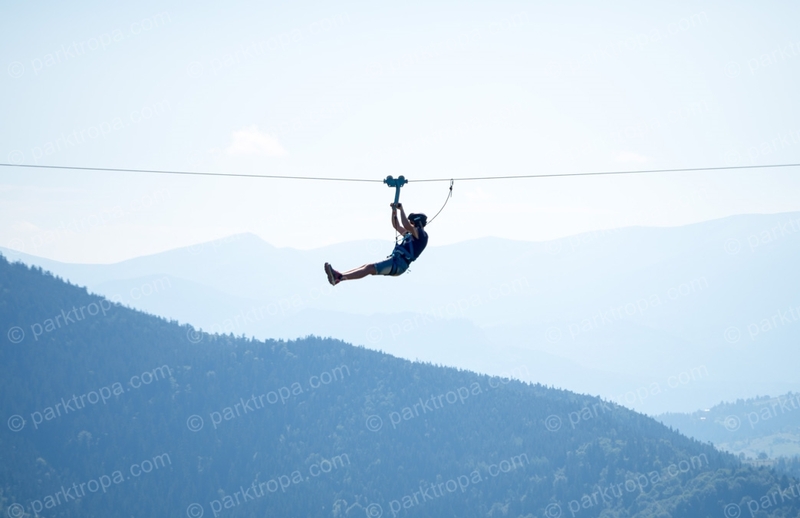 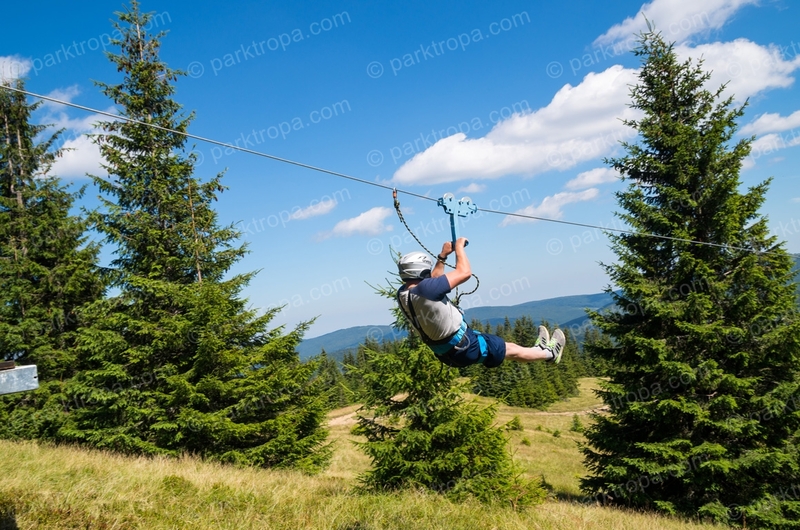 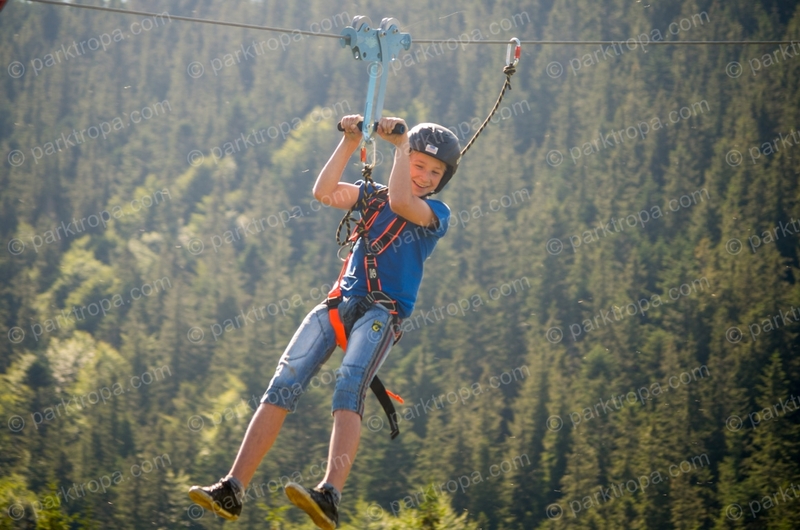 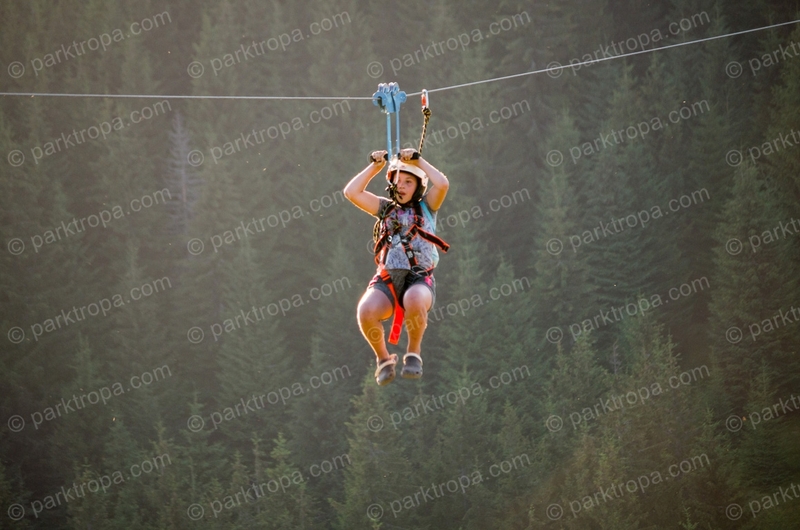 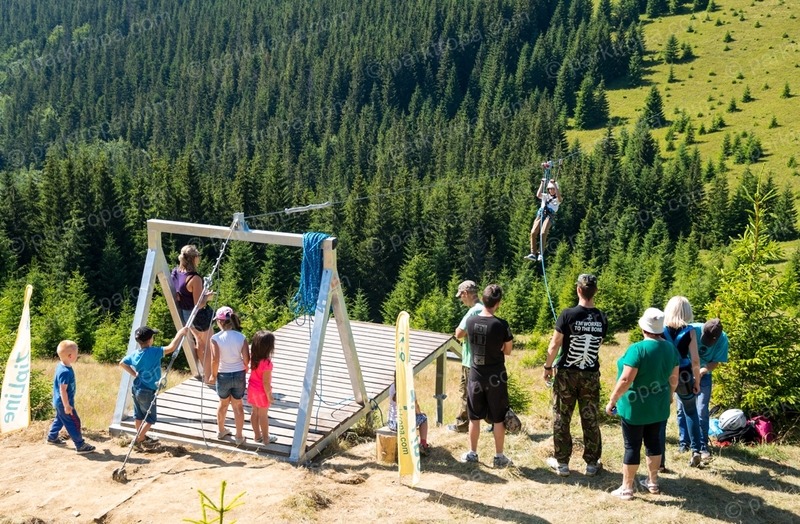 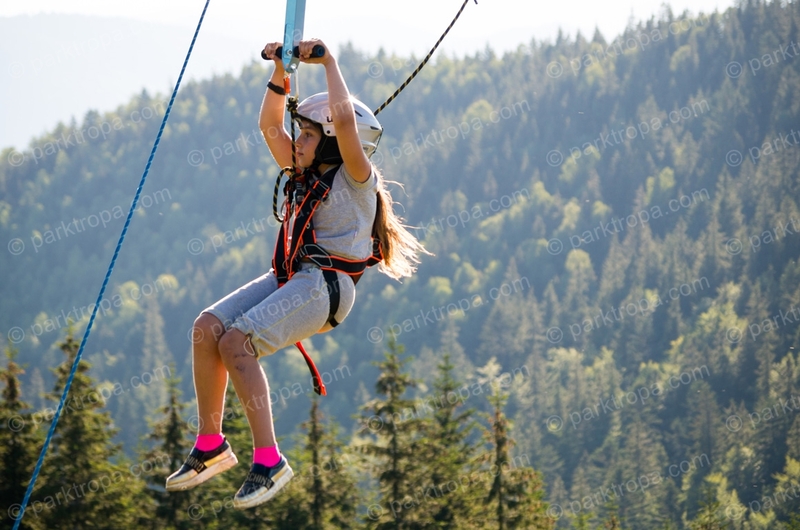 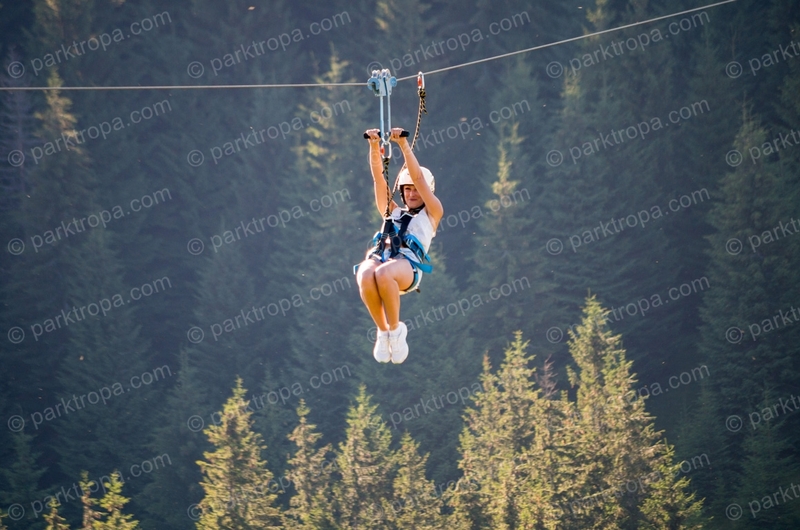 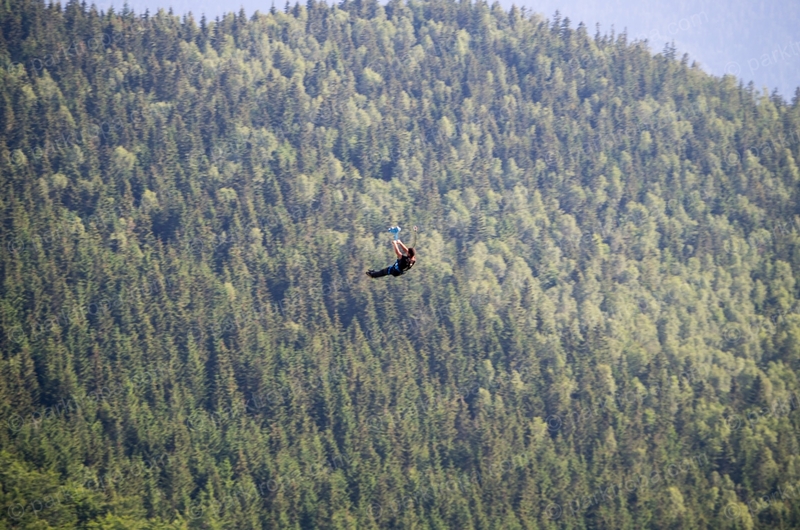 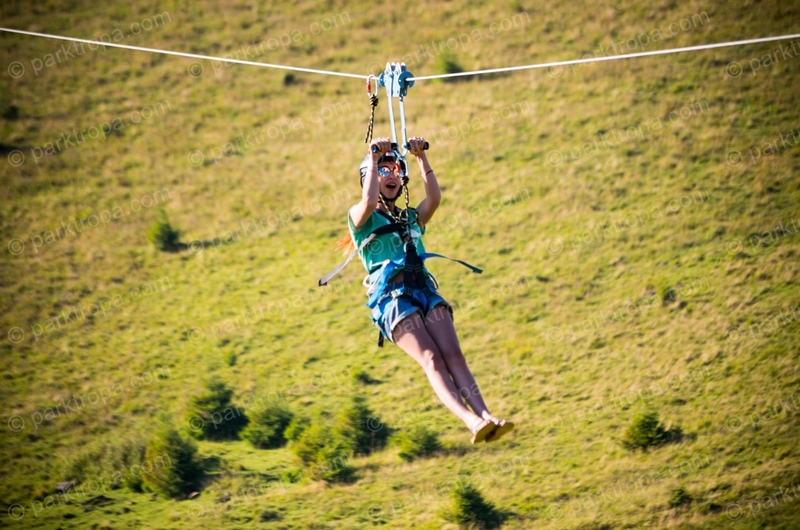 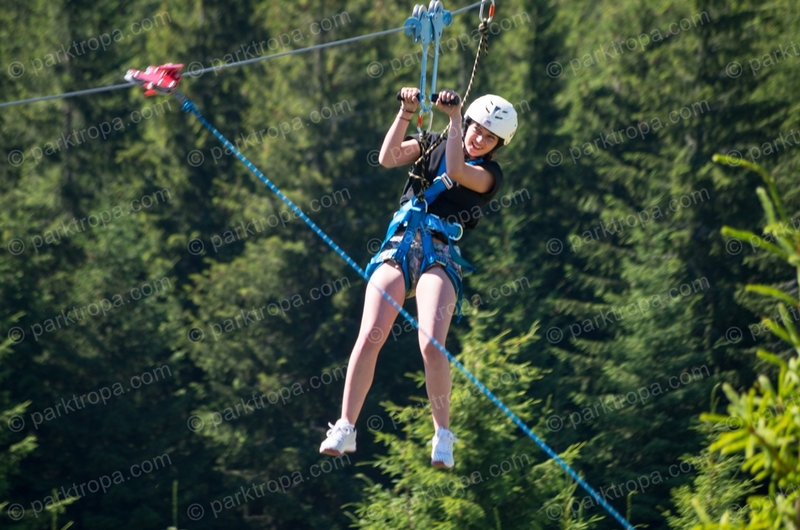 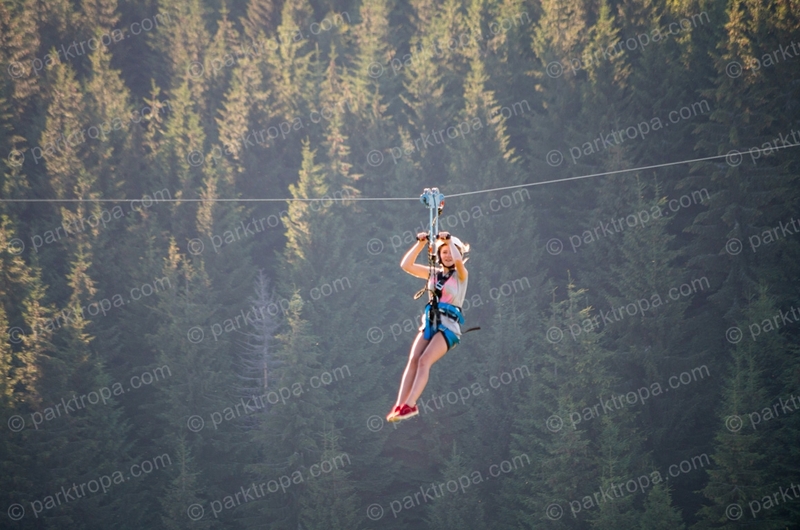 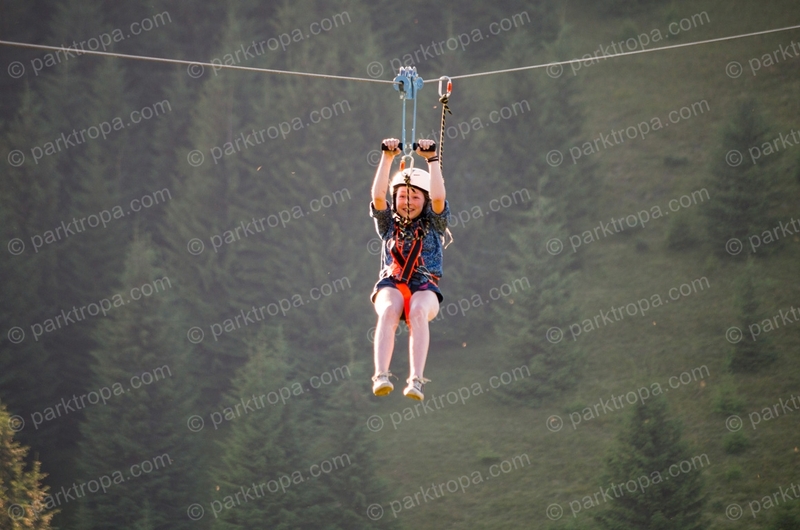 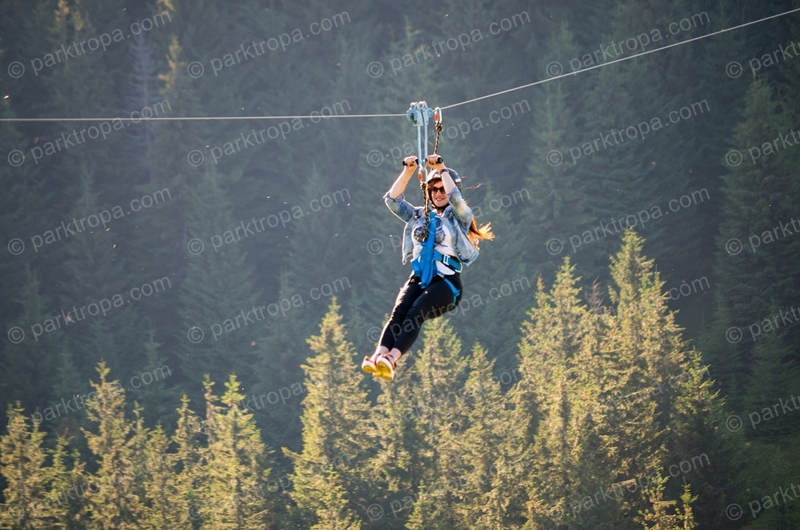 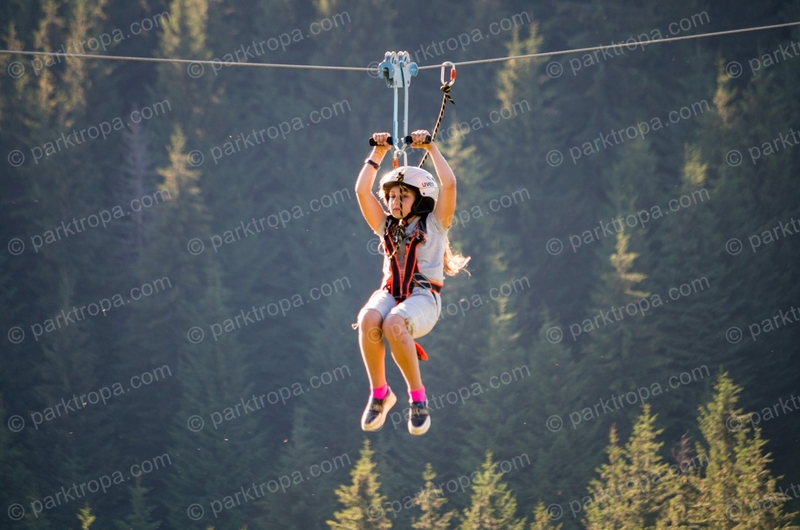 The length of the Zip line is 500 m.
The braking system with catching the roller prevents the rider from rolling back. 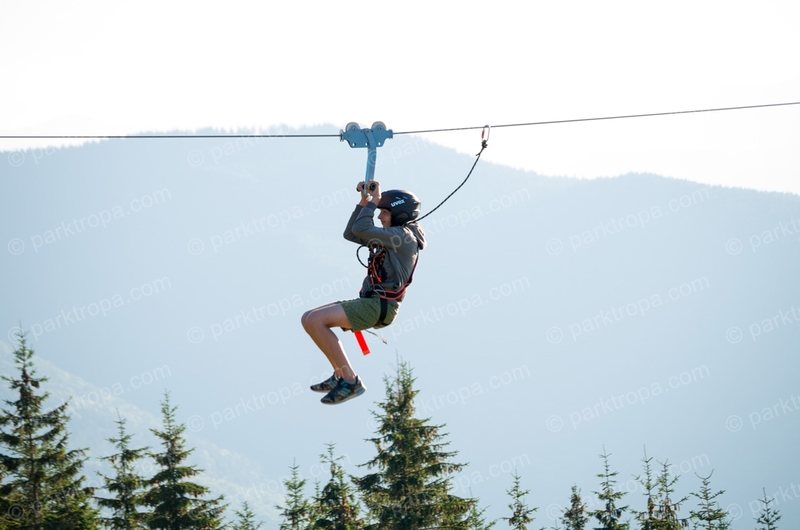 Descent system with no axial rotation of the rider. 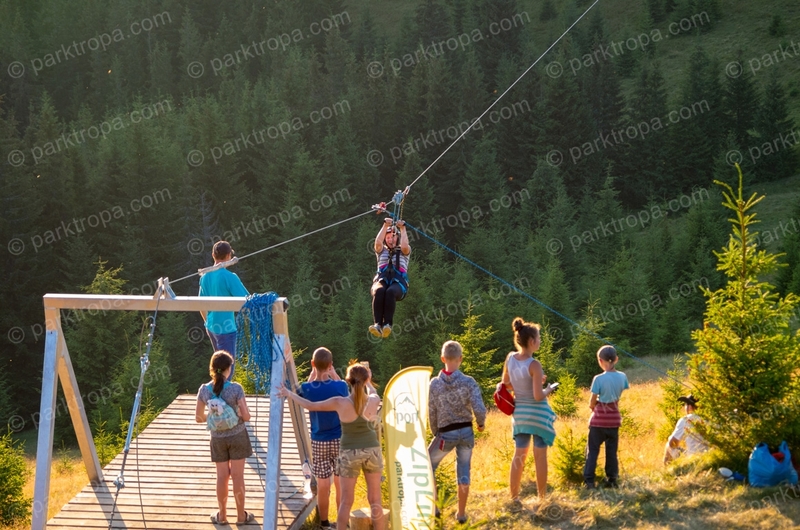 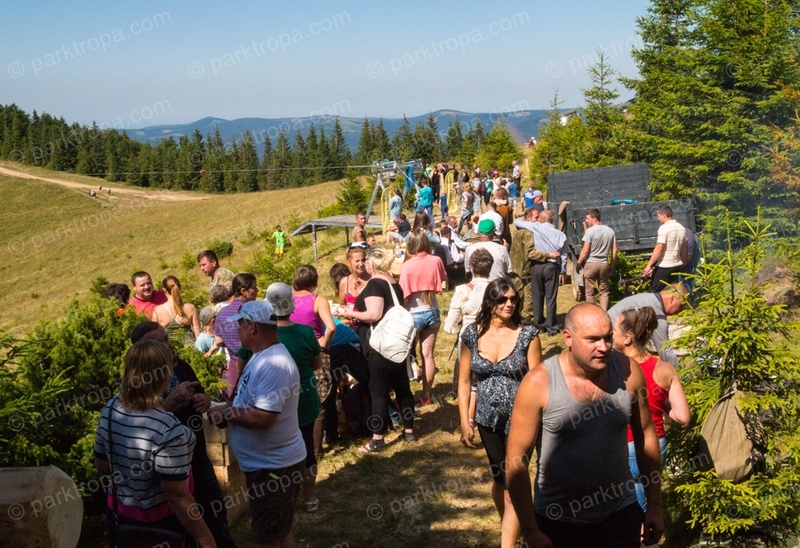 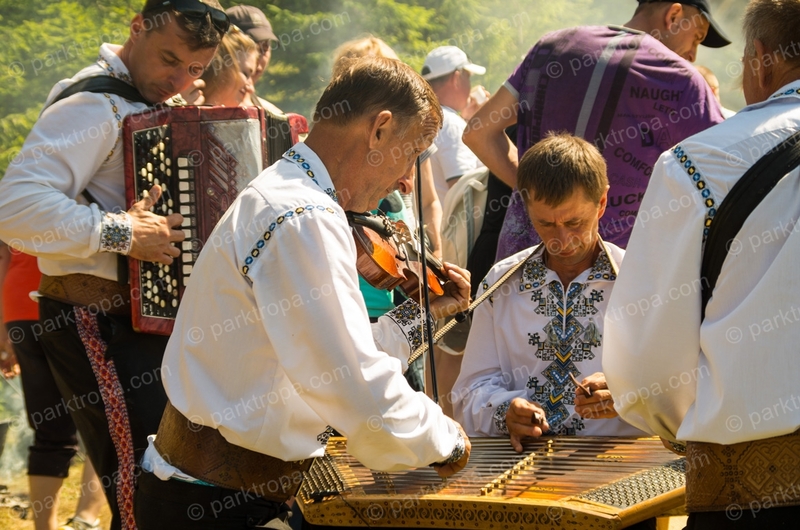 The capacity is 30 people per hour.